Recreate a cosy hangout in your own home. Cake and coffee essential! 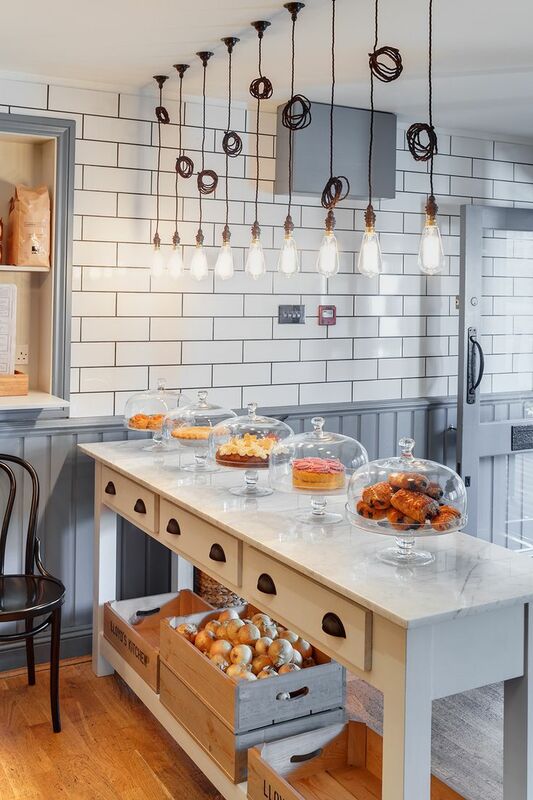 Keep lighting simple with interesting hanging bulbs like in this beautiful café in Exeter, Devon. One of my favourite cafés in the world: The Used Book Café at Merci in Paris. Shopping lists, recipes, notes: You need a blackboard wall! Dear Me is an all day brasserie in Cape Town. 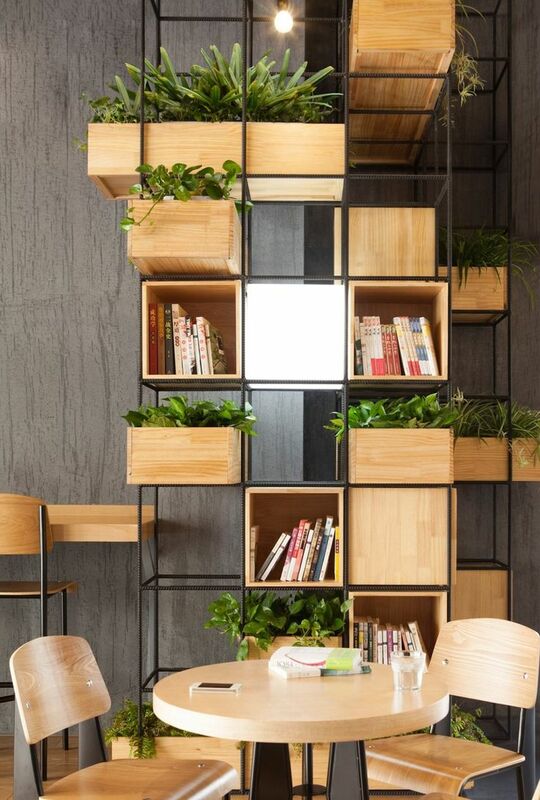 Combine Plants, Books and Objects with interesting stacked shelves. Home Café by Architecture firm Penda. 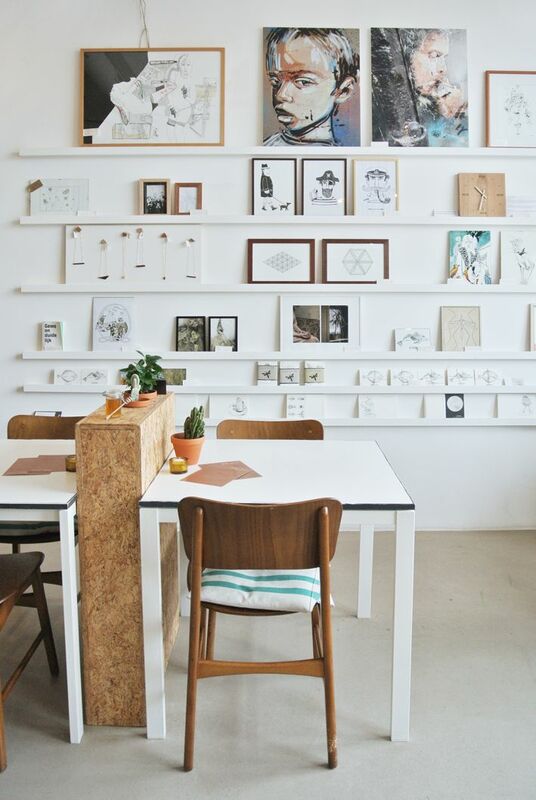 Create a simple gallery by adding thin white shelving on a white wall like at Broei in Utrecht. Easy to change up! Follow Lu West's board CAFE & RESTAURANT STYLE on Pinterest.